Get all the details ahead of SMASH! 2019 – Australia’s premiere Japanese Pop Culture Convention – Hello Asia! SMASH! 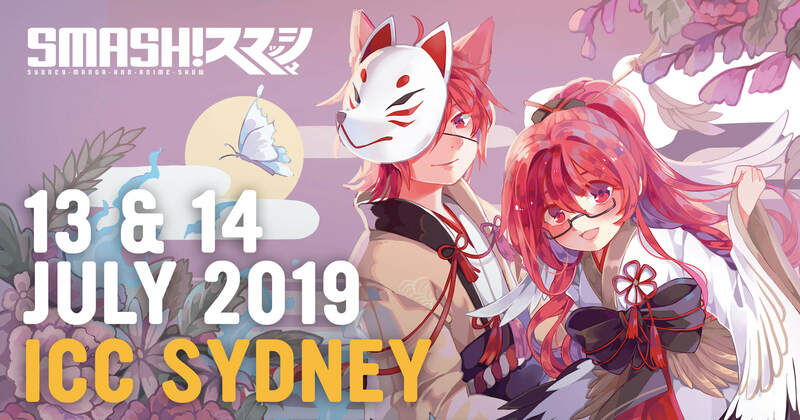 Sydney Manga and Anime Show will return to the International Convention Centre from July 13th to July 14th for a jam-packed weekend of FREE art activities, gaming, workshops and more! SMASH! is for everyone; the casual anime watcher, the seasoned figurine collector, and all appreciators of Japanese pop culture! From the growing gaming section to unique workshops, free activities, artist market, and awesome international guests, SMASH! is brimming with the best of the best. Attendees are able to gain entry to dozens of free events and activities including the Gaming Area and Trading Card Game competitions, Anime screenings, Cosplay Photography, an array of Mini Events, Competitions, Karaoke, and the super popular Trivia! Moreover, a variety special guest panels will explore topics from Asian Beauty, Voice Acting and Cosplay! This is an event that you definitely do not want to miss out on! Tickets to SMASH! are now on sale! For more information, head on over to SMASH!